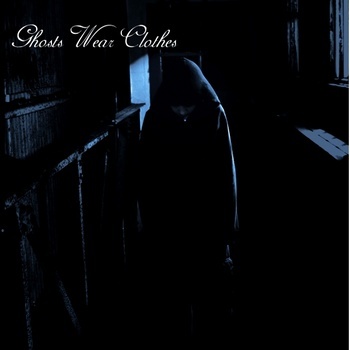 Ghosts Wear Clothes are a post-rock band from Nottingham, thats how they describe themselves on their Bandcamp site and on their Facebook page they describe the sound as post-electronica weirdness. Both these descriptions are not far away from the truth. This debut album was two years in the making, it has a nice sound to it, you can tell they took a lot of time over the sound and what they wanted it to sound like. There are seven tracks on the album running at 53 minutes in total with track ranging from just under 3 minute tracks to just over 13 minute long. The sound is cinematic and very haunting at times, beautiful melodies accompanied with soundscapes in the background, there are lots of layers to the music and they build on top of one another. The musicianship is first class, keys, guitars, drums and whatever else these guys play on the record. This is first class post-rock/electronica/ambient, the music does open out occasionally and explodes with great effect then they bring it back down to a more gentler sound. In summary it is an excellent debut record from this trio and this is an album that should be in your record collection. Two years is a long time to make a record, heres hoping their next release won’t take that long. This entry was posted on May 16, 2012, 9:00 pm and is filed under Playlists. You can follow any responses to this entry through RSS 2.0. You can leave a response, or trackback from your own site.